One of the most important things for people who choose to work from home is to make sure you have a designated space where you carry out your work tasks. It can be a separate room like a home office, a tidy corner in a quiet end of the house, or even a nice set up in the conservatory. No matter where you decide to carry out your work, one thing that can make a big difference is having the best desk for your home office. The right desk not only supplies a functional platform where you carry out your work, but the right one can also increase your productivity. If you’re looking to spruce up your home office but you aren’t sure which desk to choose, then read on. In this blog post, we take a look at the best desk for a home office and what you should consider when choosing one. 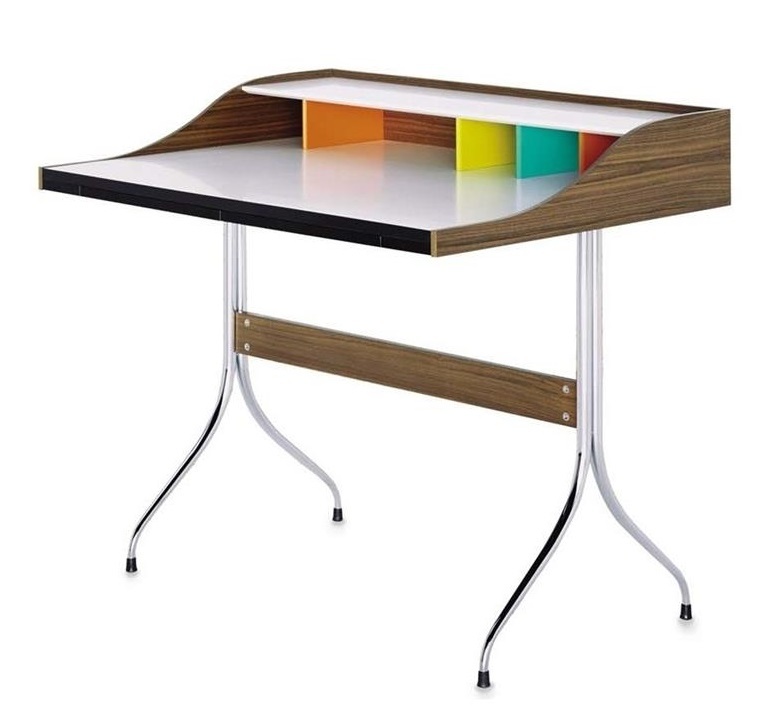 One element you need to consider when choosing a desk for your home office is the overall style. If you have your own home office, you’ll want to make sure that a desk matches the theme of the room, whether you’ve gone traditional, ultra-modern or rustic. You’ll also want to make sure that the style of desk suits your own preferences, as you’re more likely to be productive in a space that you’re comfortable in. 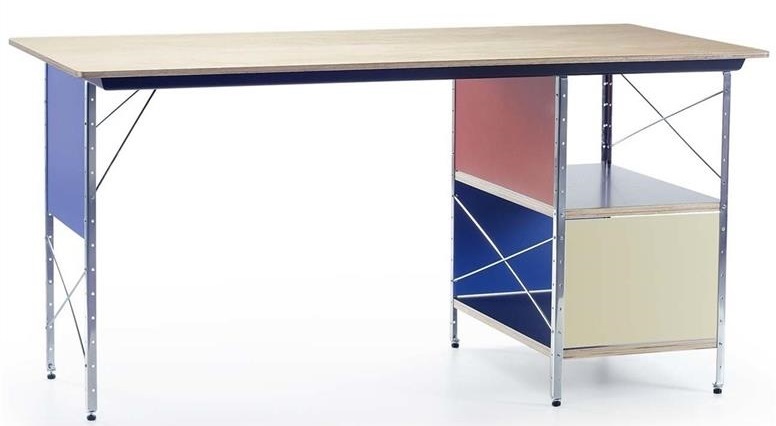 If you’re looking for a bold style statement in your home office, you might find something like the Vitra George Nelson Desk to be suitable. The sleek, modern lines and pops of colour against traditional woodgrain are visually pleasing and add a creative spark. For some people, the deciding factor for the best desk for their home office comes down purely to the desk with the best price tag. If you simply want a sturdy surface where you can carry out your job responsibilities and you’re not concerned about a particular style or functionality, then choosing the desk at the best price might be the best option for you. 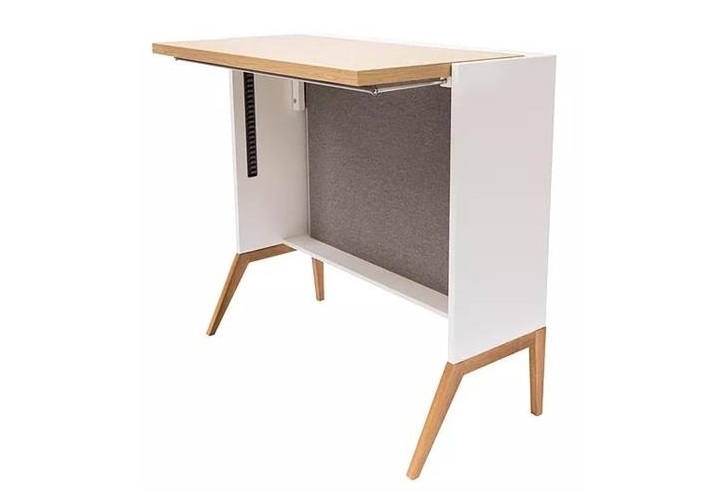 Something like the Verco Visual Two Rectangular Desk offers a sturdy work surface at a great price, and still comes with modern, clean lines. You’ll also want to consider what functionality is most important for you in a desk. For some people, the most important aspect of a desk is its size or shape, while some just want something that is visually appealing. One function you should consider is storage space. If you tend to accumulate a lot of paperwork or require a large quantity of supplies at your desk, you might find that something with ample storage is ideal. If storage is high on your list of desk functionality, the Vitra Eames Desk Unit not only provides plenty of storage, but it does so without compromising on style. If you’re interested in joining the standing desk revolution, then a Sit/Stand desk would be the best desk for your home office. Many people have chosen to go in this direction due to the many benefits associated with working in a standing position, rather than sitting for long periods of time in a desk chair. 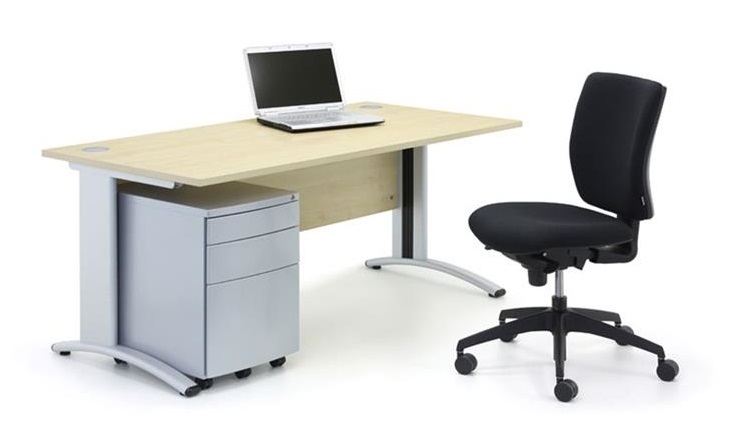 There are many options for Sit/Stand desks you can choose from for your home office. The Maxfurniture Nest Height Adjustable Desk combines ergonomic design with a natural wood with a modern finish and would look beautiful in any home office. The Elite ‘I’ Frame Electric Height Adjustable Sit & Stand Desk is another option, and comes with the convenience of an electric motor to adjust to the proper height.